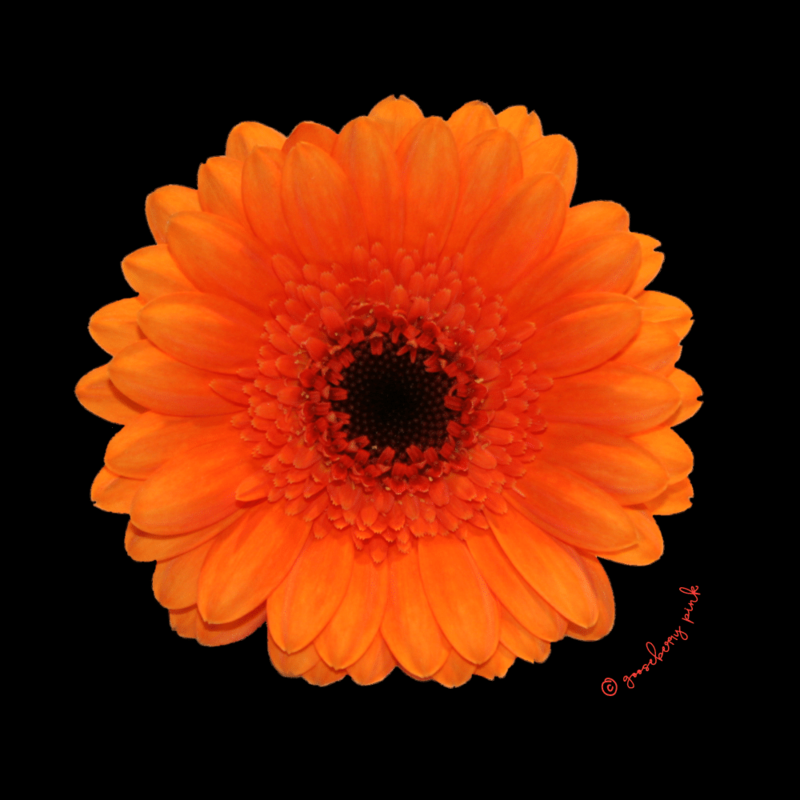 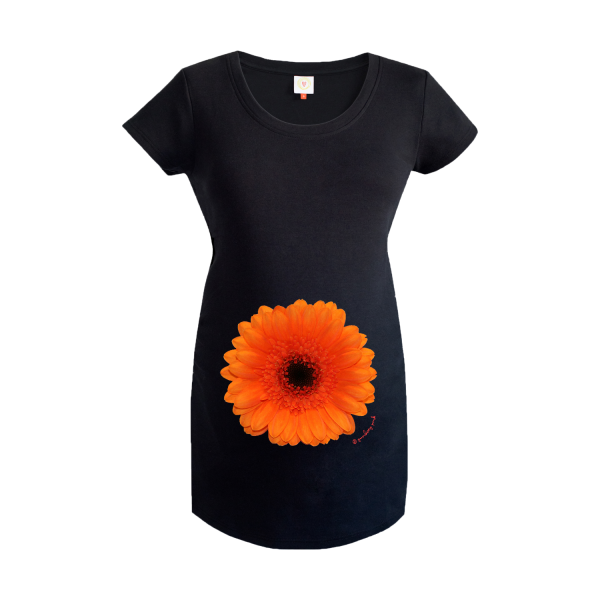 This beautiful designer pregnancy top features Flame, a vibrant orange gerbera image. 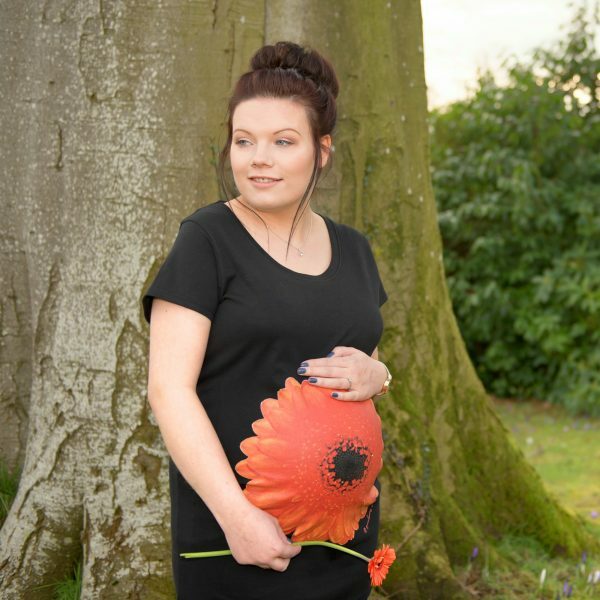 Stunning on black, the vibrant orange looks really fresh on our white maternity tops too. Our gerbera design is also available in soft pink depending on your mood? "A bargain for organic clothing!"